Great pizza is often best with classic ingredients like mushrooms, cheese and tomatoes. 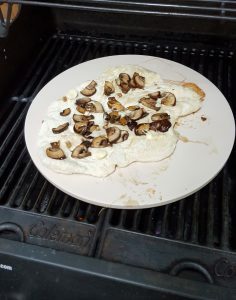 Having had pizza in Italy (and being vegetarian, the choices weren’t abundant), I fell in love with delicious simplicity and decided to give it a try. This fabulously easy recipe is tasty, simple to prepare and healthy to boot. Store bought pizza crusts are hit and miss, but if you have one you like, great! 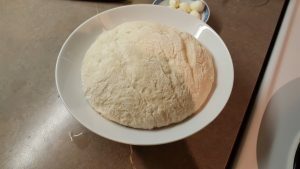 If you’re feeling adventurous and want to try your own hand stretched pizza, I recently used this pizza dough recipe by Riccardo. I’ve never made my own pizza dough or bread so I was surprised at how easy and fun it was to make! 6. 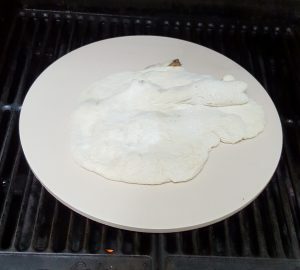 Transfer pizza onto the heated pizza stone (if this is the first time ever making your own dough and have never moved a prepped pizza to a raging hot pizza stone, I will post a blog on how to actually do this – my first attempt is shown in a below. Can’t say I was impressed but you’ll do better than me. I promise). “Where are the mushrooms and cheese?” you ask. GREAT QUESTION. They’re hiding underneath my pizza dough. I’m making a face down pizza. It’s an ancient Chinese trick for extra crispy crust. 6 b. Attempt to salvage your pizza. Recover with some wine. 8. 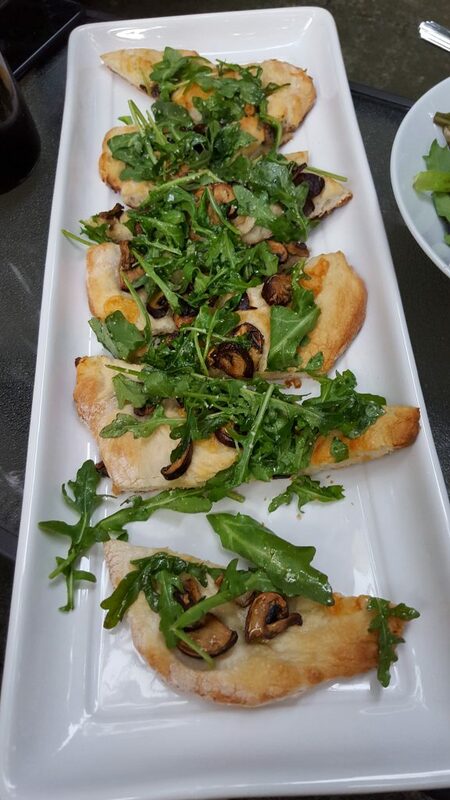 When ready, remove pizza, top with arugula and drizzle with your favourite olive oil or truffle oil. 9. 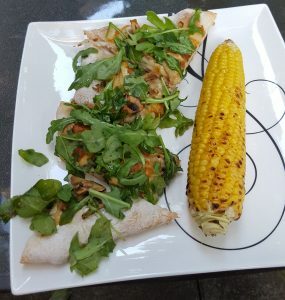 Serve with roasted super sweet Chilliwack corn or other great summer veggies. Cut, or eat the entire thing and enjoy! 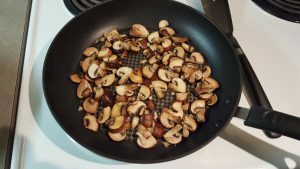 I love being able to control the quality of ingredients I use in my cooking and can vary up the type of mushrooms or cheese used. 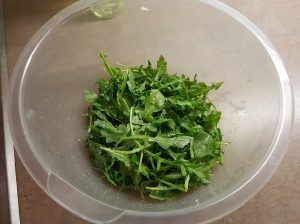 I’m not a big fan of straight arugula salads, but mixed in with other greens or on top of pizza is a hit! Do you have a favourite pizza dough recipe that you’d like to share, or pizza toppings that are a must try? Please share in the comments below!